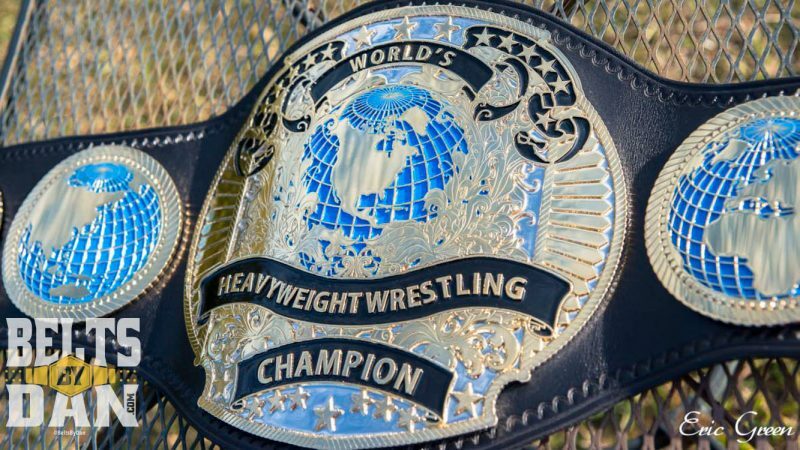 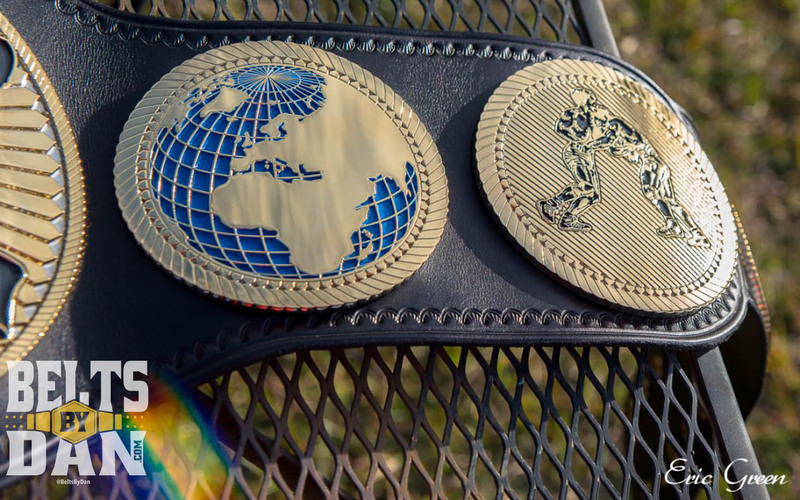 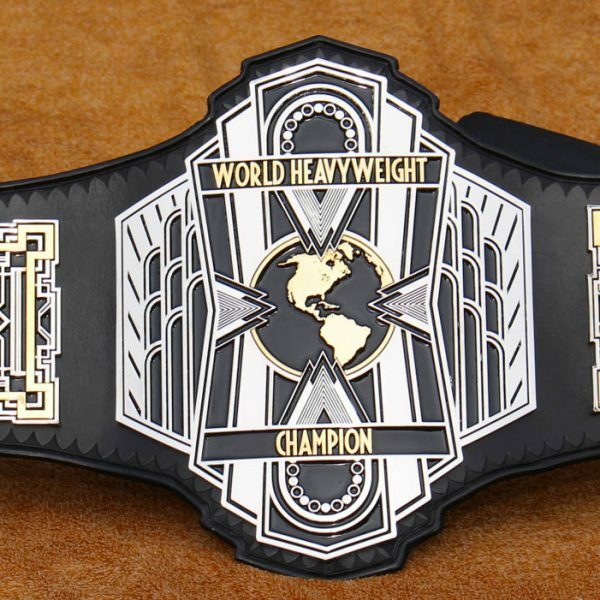 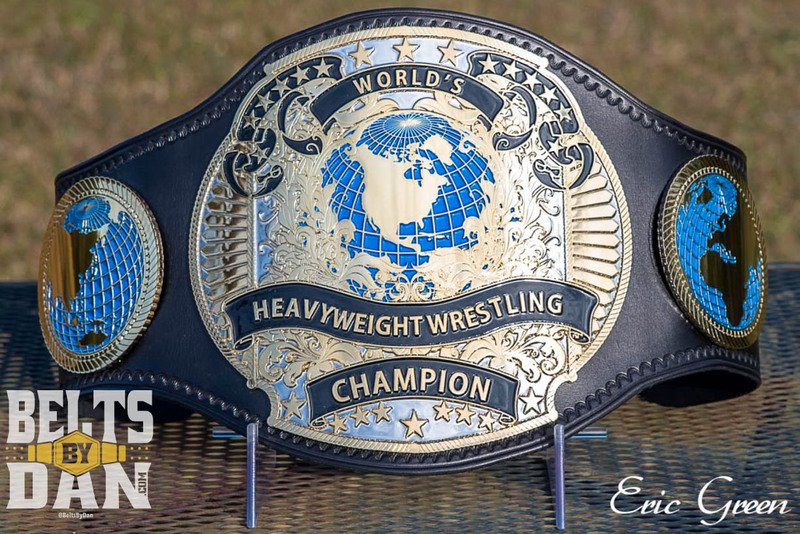 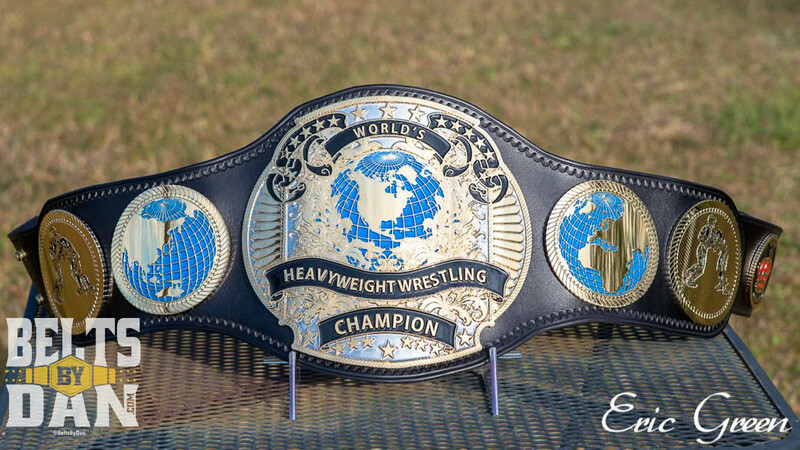 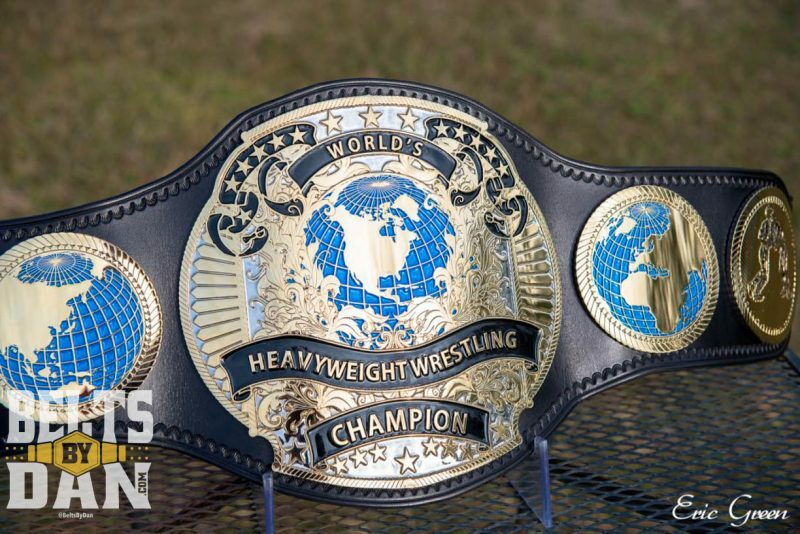 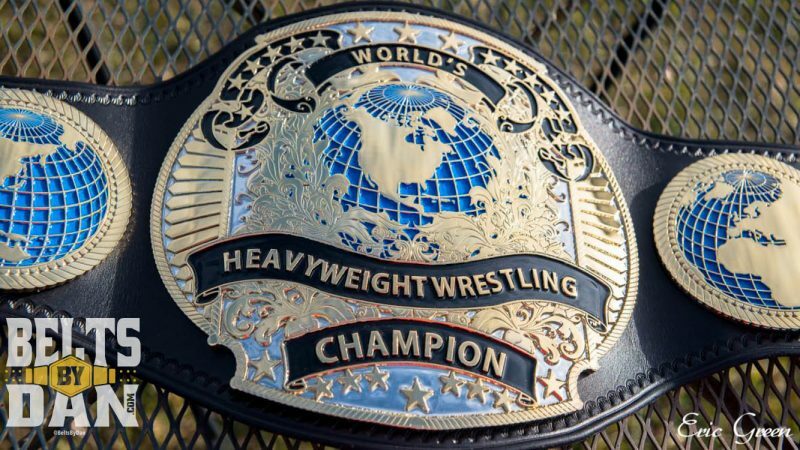 This custom heavyweight belt was themed after the classic WCW 91-94 Heavyweight Championship. 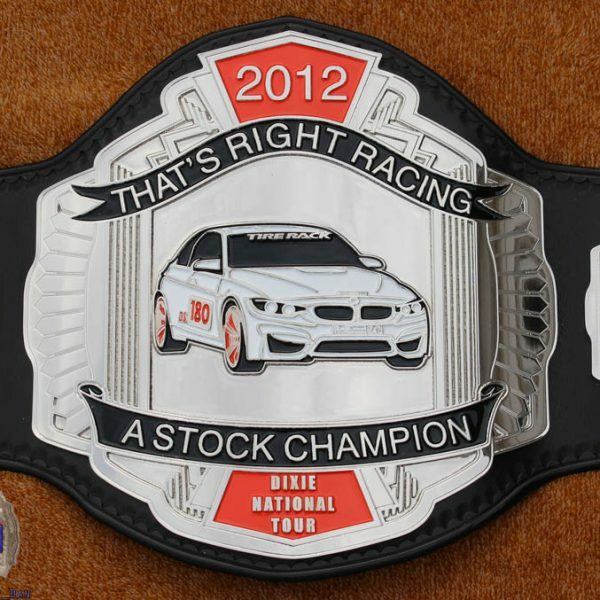 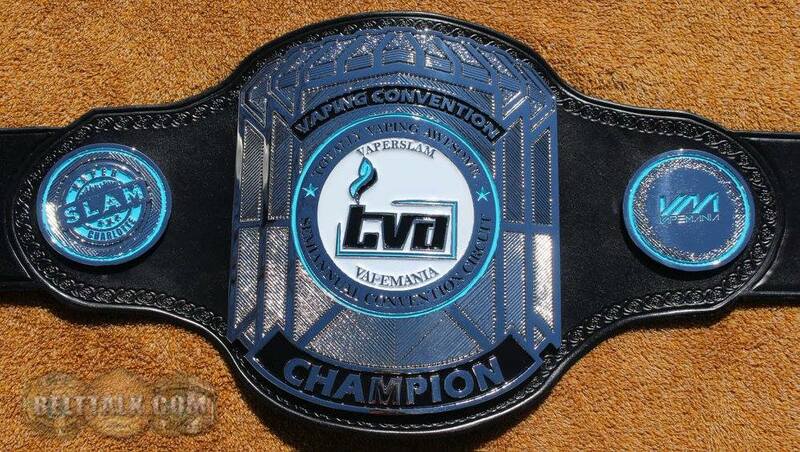 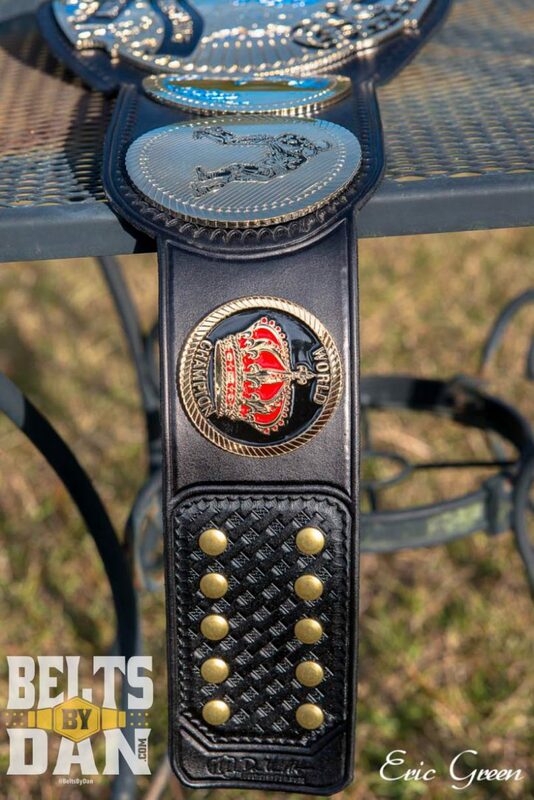 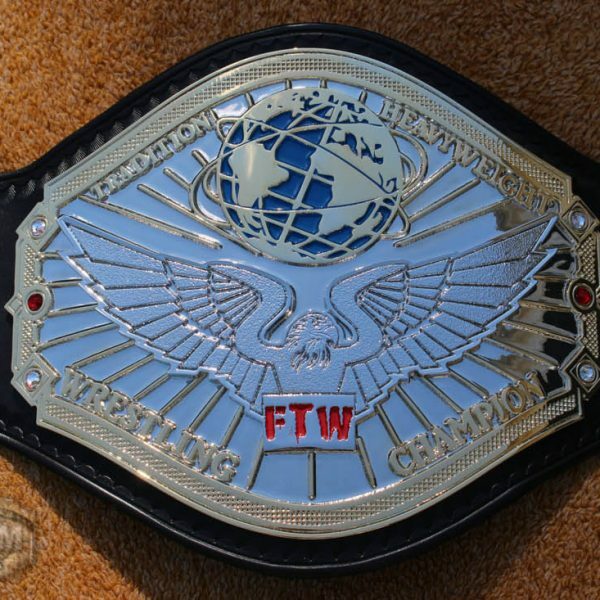 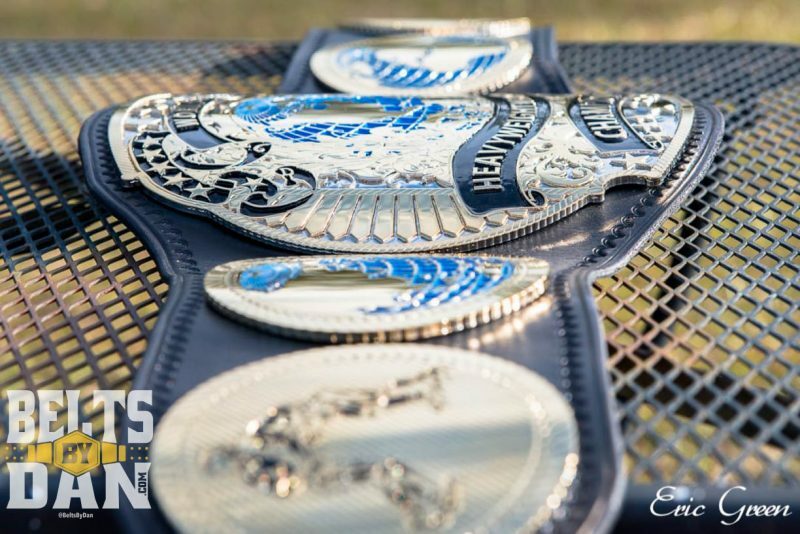 The belt is much larger though, and features 5 plates, dual plated plus logo plate. 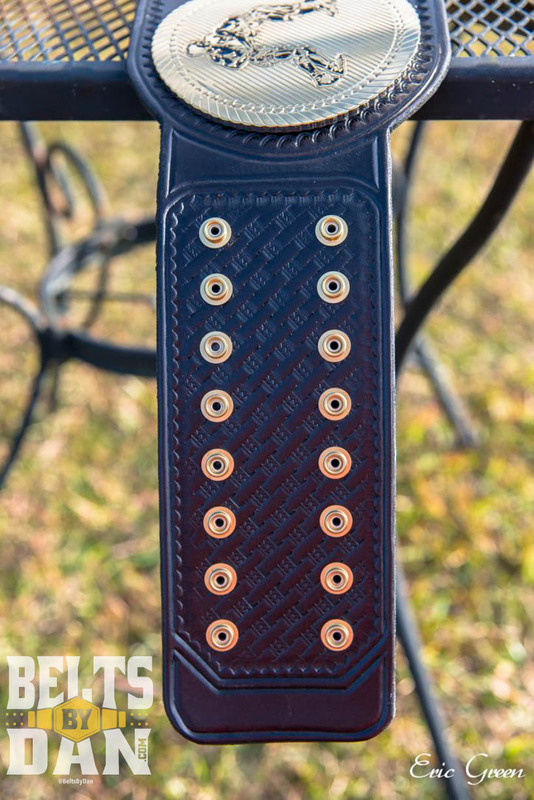 Custom basket style tooling in the snap boxes was requested by the customer. 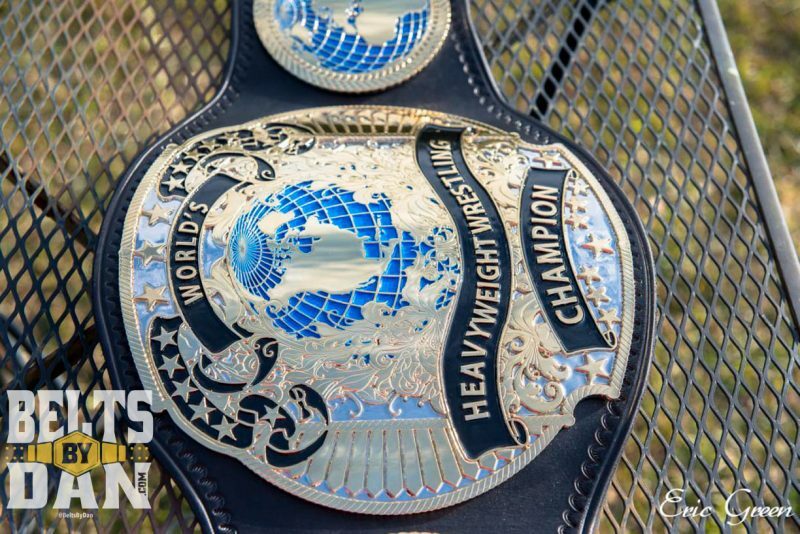 The pictures are courtesy of the proud owner and professional photographer, Eric Green of Green Shutter Studios.